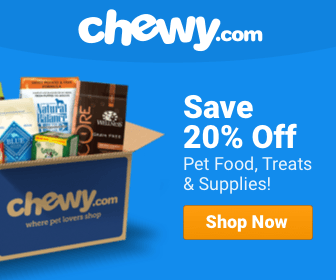 Best Dog Food For Yeast Infections - Top Picks & Comparisons! Did you know that large amounts of starchy foods can make your dog suffer from yeast infections and other allergic reactions? And no loving pet owner would ever wish that to his four-legged friend. Seeing your dog feeling itchy, scratchy and uncomfortable due to very high amount of yeast from high-grain foods is definitely not something you want to do. But luckily, just like humans, dogs can eat certain foods to target health issues. By making some important changes in your dog's diet you can help them control and avoid the yeast problems that causes itchy skin. And we're here today to present you best dog foods for furry friends with yeast infections. 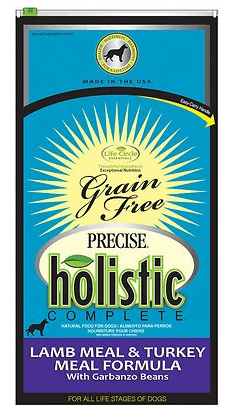 Precise Holistic Complete Grain-Free dog food is a great food to prevent yeast infections and allergic reactions in dogs. The Precise Holistic Complete formula focuses on real meat, natural vitamins, and minerals. It is one of the most-recommended for yeast-prone dogs because of its grain-free formula. Also, it has plenty of antioxidants from blueberries, cranberries, carrots, and more, for overall health. Yeast-prone dog owners agree that Brothers Complete Ultra-Premium Advanced Allergy Care dog food is one of the foods they count on. 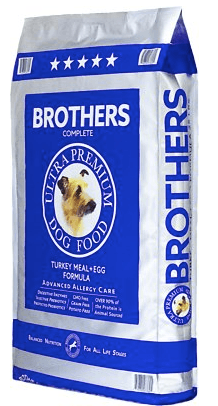 This Brothers Complete formula attempts to focus closely on a dog's natural diet. Therefore, no grains or white potatoes, two things owners of dogs with yeast issues are concerned about. Helpful digestive enzymes in the formula help break down food quickly to lower the risk of allergies. The Brothers Complete Ultra-Premium Advanced Allergy Care formulas also have all 23 amino acids contained in their food. Additionally, the main protein source is turkey, which is known to be a good choice for dogs prone to allergies. 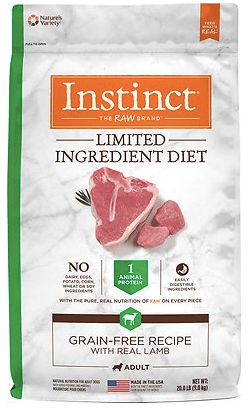 If you're looking for a limited ingredient diet to avoid allergens, the Nature's Variety Instinct Limited Ingredient Diet is a great choice. This grain-free formula promotes less risk for common dog allergies. Its number one ingredient is lamb meal, which is an excellent source of protein and aids in healthy digestion. Although it doesn't contain grains, this formula does contain peas, a carbohydrate found in many pet foods. This does count as a starch, but they are also highly-digestible, which is one of the biggest concerns for yeast-prone dogs. The better the dog can digest the food, the less risk for allergies he has. Nature's Variety Instinct LID is very easily digestive, as each of its limited ingredients aids in a healthy digestive system. 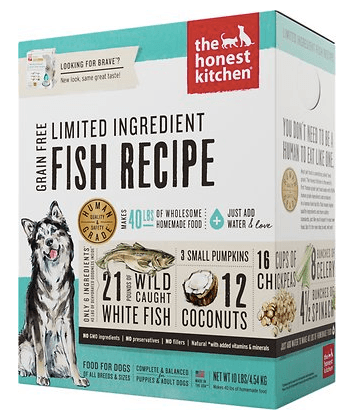 Although it's one of the most expensive dog food brands, happy customers insist that The Honest Kitchen is worth it. Its Brave Dehydrated dog food formula is one that owners of dogs with yeast and other allergy issues trust the most. This formula is especially made for dogs with sensitivities to what they eat. Therefore, each formula has only 6 healthy ingredients for your dog. Additionally, The Honest Kitchen minimally processes each of its ingredients to maintain their integrity. Its main protein is Marine Stewardship Council Certified Pollock, a much more tolerable protein than poultry for some dogs. 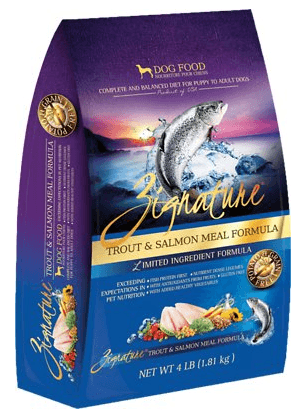 Another limited ingredient dog food choice to prevent allergies, Zignature Limited Ingredient Formula is helpful for yeast-prone dogs. This formula is grain-free and uses fish protein as its main protein source. Additionally, it contains healthy antioxidants from fruits and veggies, which also help provide essential nutrients. Zignature packs its limited ingredient formula with everything your dog needs for a healthy, balanced meal, without unnecessary ingredients that can lead to allergies. 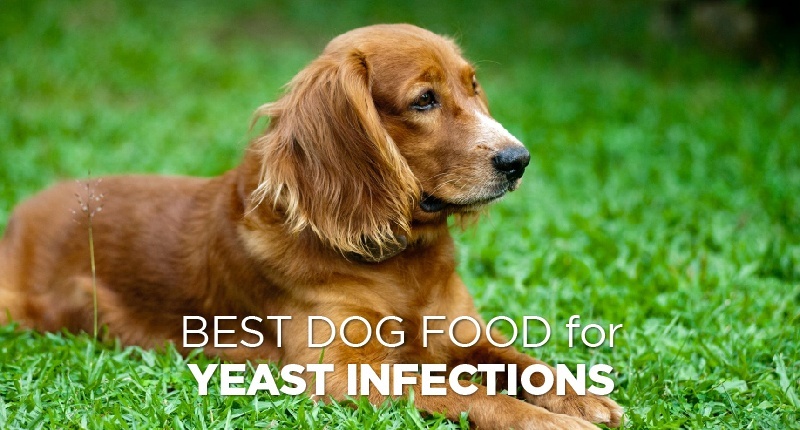 What is the Best Dog Food to Prevent Yeast Infection? Limited, or no, amount of starch: Starches largely contribute to yeast infections in dogs. When it breaks down in the body, starch turns into sugar, which is what yeast thrives off of. A large amount of starch in your dog's diet leads to a large amount of sugar - and a large amount of yeast! 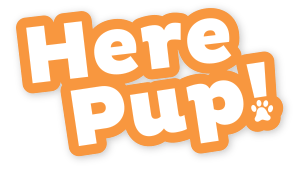 Potatoes, oatmeal, rice, and peas are some of the most common sources of starch in dog food. Grain-free foods: Although grains are not yet scientifically linked to causing yeast problems, some veterinarians and pet owners believe there is a link. Limited ingredients: For dogs who are prone to allergies and skin problems, like yeast, limited ingredient diets may help. They provide dogs with the essentials that they need in their diets, while leaving out unnecessary additions. The less ingredients, the less chance of your dog having an allergic reaction. Dogs prone to yeast issues can significantly benefit from careful diet changes. Although many of these special diets can be more expensive than others, they can be essential in curing your dog's yeast issues and other allergies. Choose a food with limited ingredients, a low amount of starch, no sugars, and no grains. Also, a fish protein can be helpful in avoiding common allergies from poultry or beef. These five foods chosen as some of the best choices for dogs with yeast infections contain a low amount of healthy ingredients that are typically safe for dogs prone to allergies. Customer reviews show a high satisfaction for each food, and I agree that they are excellent choices for your yeast-prone dog.